Wouldn’t you love the chance to see them up close? With Hurtigruten, you can brave the cold weather and cruise down to see the penguins of Antarctica. Did you know there are 17 species of penguins in the world? Well, only seven of those can be found in Antarctica. There’s the Adelie penguin, which lives on Antarctica year-round. However, during the winter they like to stay in the water more, so the best time to see them is from spring to fall. 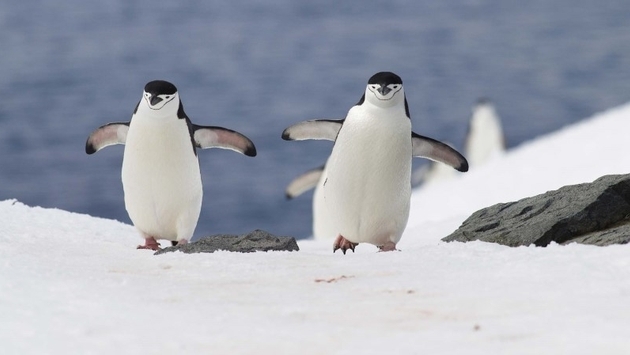 The Emperor penguin might be the one you’re most familiar with. It can reach up to 100 pounds and has “bright yellow and orange plumage along their heads, necks and chests” along with the classic penguin tuxedo look. Chinstrap penguins get their name from the markings on their head, as it looks like they’re wearing a tiny helmet. Gentoo penguins are known as “the speedsters of the penguin world.” They can reach up to 22 miles per hour when diving. Finally, Rockhopper penguins get their name because they like to move around and prefer the rockier parts of northern Antarctica. For more information, check out Hurtigruten’s blog here.